The first part of out sale has been a great succces and thank you all. 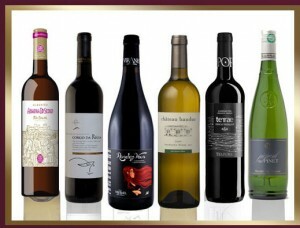 As promised, we are adding 10 new wines to the special 25% and Bond Price section as per the main blog about the sale. It only applies to wines in the shop at the time of purchase. It doesn’t work in conjunction with any other promotion. 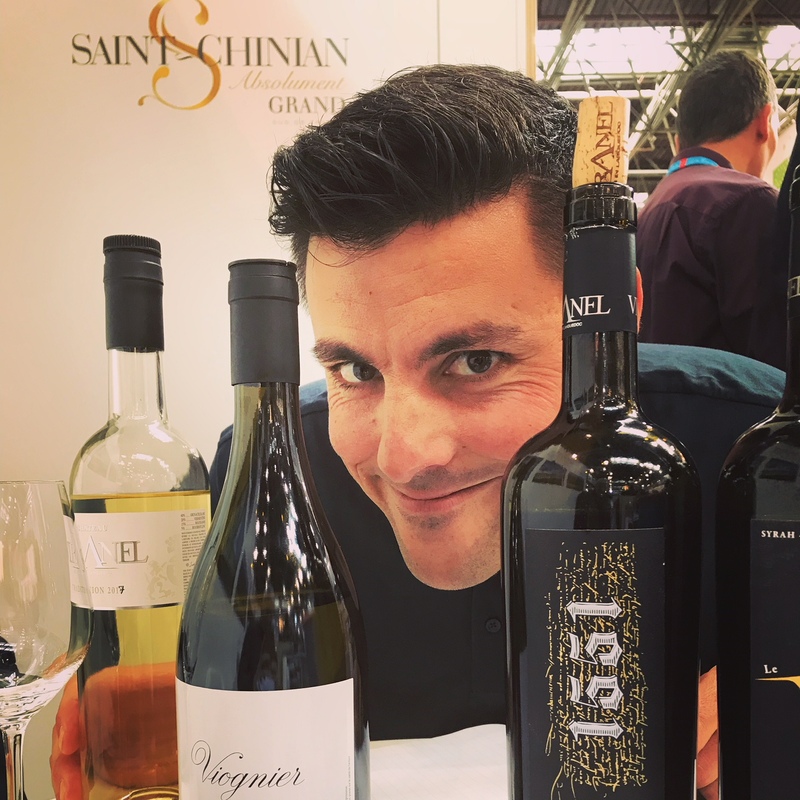 These are not bin ends, but wines we really like and want you to try – Wines will be from €8.99 and there is no necessity to buy multiple bottles. It will apply to 1 wine or 21 wines. We will list 10 to start with, and then we will change to another 10 within 7-10 days and we might throw a few surprise wines into the mix as well. We’ll see how things are going.If you buy 6 wines in this deal, they do NOT count in the Ladder Sale, i.e. you cannot buy 6 at 25% and then expect 20% off another 6 that are not part of the 25%. Of course, if you buy 6 you will still get 14% as per the ladder sale, or 20% if you buy 12. You know what i mean.. you can have your cake, you can eat a good bit of it, but we need a slice as well. We have an additional price on some of the above wines and you can get up to 30% when you order in quantity. But these will be taken from the bonded warehouse ( not from stock in Clonmel ) and we may not receive them for a week or two ( when we have enough orders we will get them collected from the bond ). The deal is you pay upfront at the special bond price, and we call you to collect when they arrive. We can arrange delivery at cost if you want them sent to an address or want to order over the phone. These prices will not be this cheap again. * The budget is next week and we are not expecting Duty to rise ( or fall ), but if it does we will need to readjust the price on wines in the bond. ( We pay the duty at the current rate when we pull in out of the bonded warehouse ). 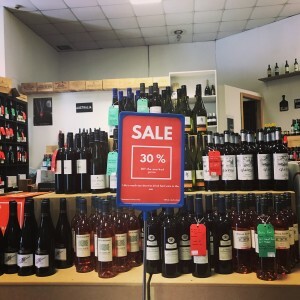 We are making room for lot of new wines that have just arrived so to facilitate these fantastic new wines we are clearing out nearly 30 lines with 30% off. There are some gems such as Condrieu, Faugères, Château Bauduc Rosé, Organics wines, Vosnay- Romanée from Burgundy and cracking Fleurie. New line some of these wines are online all of them are in the shop and in first come first served. The summer start here ! Santa Gloria Reserve Sauvignon Blanc. We have so many new wines in as well as old favourites back in stock ( remember that fantastic organic Grenache from Tempore ). The same producer also makes a lovely Entry Level for €11.99 ( before the deal ) Red called Feudi Aragonesi Rosso & a White called Feudi Aragonesi Bianco – these would make a great communion / confirmation / wedding / party wine. Ask us for special pricing if you’re having a party. Also priced at €14.99 are two new whites – one you will have heard of ( Pinot Grigio ), and the other maybe not so much, but well worth a try. There is also a Pecorino ( great local white wine style that is huge in Italy but a little unknown here ). 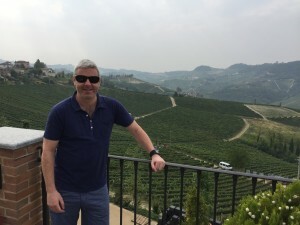 The new vintage of the always popular Mirabello Pinto Grigio is here the new vintage is super – they have changed the rules in Italy on what can be put into it and you can really taste the difference. The Truffle Hunter Barbera is also back from Piedmonte – from the near the hills of Barolo, but with a much more approchable style and price. Our Portuegese range is growing and we really hope to grow it more. From the up and coming Dao we have a range called Prunus that are a steal at €12.99 and come in red and white. We have a reserve wine from Alentejano that has been flying since it came in. Its called Santos de Casa and might be my wine of the year, but its only May and we have new wines from Tuscany, Sicily, Bordeaux and beyond on the way.But it will be in the final reckoning. We also have 2 new Ports – a Ruby port and an LBV- a little out of season but its nice to start working on that range. One of the stars of our Christmas specials, the New vintages of Marques de Alfamen are in. 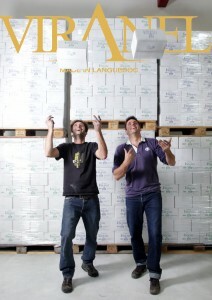 New vintages of Viranel are tasting fantastic and i met Arnaud recently to be sure to be sure. We also have a new Madiran Red if you like your Reds beefy. This is one to put down or would make a super present.The bottle is gorgeous but the wine is even better. We have a very juicy Cotes du Rhone White that’s hot of the boat. Chateau Bauduc ( Red, White & Rose ) are all back and the 2015 Red is particularly good after a few difficult vintages. I tested it along with the others during my visit there last November. We know you’ve been missing Two Paddocks but we have a lovely new Central Otago Pinot in called Ata Mara and its a great price too. Call in and try the new wines and get a free bottle when you buy any 6. We have had a lot of new wines that have come in over the last few months. Sometimes we don’t always communicate them all as they tend to come in all at once at various stages in the year. So here is a quick summary, and I will break it into regions. Bordeaux – fresh from a recent trip to see old friends in Bordeaux, we also found some great wines at a range of price points. 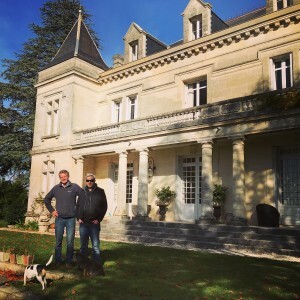 We met our old friend Gavin Quinney at Chateau Bauduc and his wines are still tasting superb. A fantastic Pomerol from Bordeaux called Chateau l’Enclos Its a 2014 so is approachable after decanting. X de Larrivaux from the Haut Medoc region at a great price. A WoW St Emilion Grand Cru from 2010 ( a wonderful vintage ) – for those who like them big, an 8th Generation family make this wine. Chateau Laniote St Emilion Grand Cru 2010. If you are looking for a wine to put away for a while, then the Chateau Grangeneuve Pomerol 2015 could be the one. What is in now is …. The Fantastic organic range from Tempore in Aragon – these are among our best new wines for a long time and some of them are included in our bottle offers this Christmas. Check out the range here. The top wine from our very popular Albarino producer. The Sobre Lias Albarino is perfect for those richer dishes. To join the Chablis and Chablis 1er Cru we also now have the Petit Chablis from Chateau de Chemilly – a gentler introduction to the joys of Chablis and Chardonnay. Our good friends at Viranel have released a new 100% Syrah from the best plots called 1551 ( the year the family aquired the land ). Have you seen the new label on Rendez Vous – great present for the Red head in your life and its in the Gold Case. We have 3 new wines ( including an organic one ) from a new producer from Montepuliciano d’Abruzzo called Collefrisio. 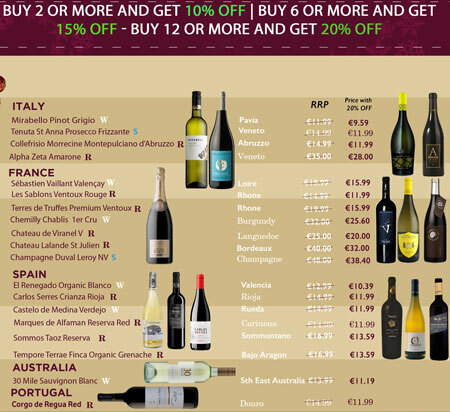 The Morrecine wine is part of the bottle offers and is down to €11.99 as part of a mix of 12. There is also the organic wine and treat yourself with the Vignaquadra wine. We also have a new Sondraia Bolgheri Superiore from Poggio al Tesora ( owned by the Allegrini family ). – its a treat but WoW. For those of you who like Central Otago Pinot Noir ( ala Two Paddocks ) then you’ll love Burn Cottage ‘Moonlight Race’ Pinot Noir. There are at least another 20-30 wines that are on the shelf but are not on the web, so the best thing is to call in and have a wander. We will have 3 different tastings between now and Christmas. FOr more details on this, click here. Traditionally we have done a big night where we have opened loads of wines but not everyone can make it on that night so this year we will split it up and open different wines over 3 weekends. With the exception of the first one, which is at a specific time, the others will be a walk through style. We’ll have the wines open for the weekend ( from 2pm on Friday and including Sunday ). If there is something in particular you would like to taste, please drop us a line. It is very much a drop in but if you are coming and could let us know, it would be great as we can prepare properly – and yes, you can come to all 3 events. Valencay from Sebastien Vaillant – as the prices of Sancerre soar, you should try this from nearby – delicious. Bodegas Sommos Taoz Reserva – a wine full of the promise of Christmas. taste it to find out what that means. These tastings replace our traditional portfolio tasting ( the big night in Raheen last year ). This will hopefully allow people to get in to taste as it is starting from Friday and 2pm and runs through to Sunday ( we are open from 2 to 5 on Sundays ). There is no set time. It is a walk in, but if you are planning to come in if you could let us know, so we can be sure to get in enough cheese and crackers. The ones you have already missed …. 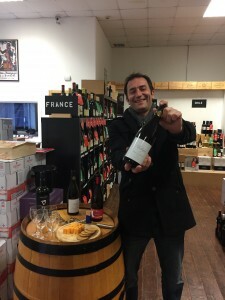 First up is this Saturday from 4pm and we will have Nicolas from Chateau Viranel opening all of his wines but we will also have a range of other wines open. Wines on show – The Chateau Viranel range plus a range of new wines including Spain, Italy, Argentina, France and more … call in to find out.. Sorry for the short notice on this but we weren’t sure about Nicolas’ flight times back to France. As always, we have a Silver Case ( €60), Gold Case (€80 ) and a Platinum Case at €150. If you want a 12 bottle case, just click on 2 when ordering. Every year we offer a range of wines that we discount all the way into Christmas and the New Year. 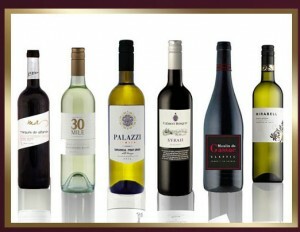 We offer a range of wines under our MultiBuy Scheme. and if you buy and mix of 12 or more you get 20% OFF. We have broken them down into general wines, and then more premium wines. You can mix them up, so you can buy 11 of the cheaper wines and then throw in a bottle of Champagne and still get 20% OFF. 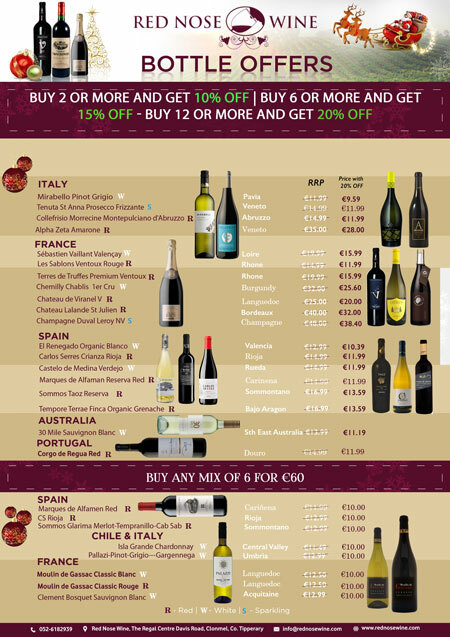 We then have the every popular 6 for €60 mix where you can mix any 6 of the wines in the list and get 6 for €60. Simple !! 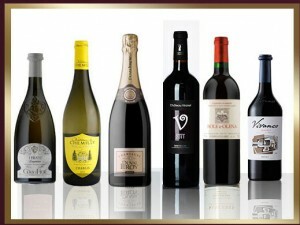 Click on each of the wines to get more detail and you can also buy online. We also have a range of Mix Cases at various prices points that will take all the work out of it for you. 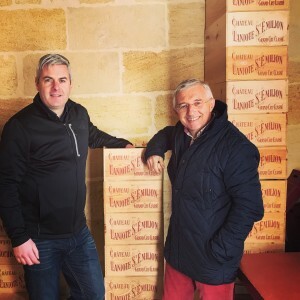 For those of you who were lucky enough to be at our winemaker dinner with Nicolas Bergasse from Chateau Viranel last November, you will be delighted to learn that he is back ( by popular demand ). 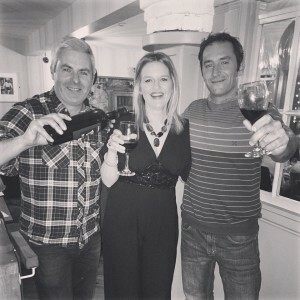 For those of you who weren’t there, it was a great night and Nicolas’ charm and wines matched perfectly with the food and ambiance of Mulcahys in Clonmel. Friday November 24th is the date. Book now to avoid disappointment. 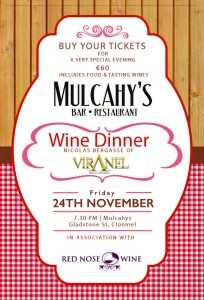 If you want to join the fun, the cost is €60 which includes 4 courses and 4 wines to match. The charming Frenchman is included. Booking is direct with Mulcahys so call 052-6125054 or call into their lovely pub/restaurant/guesthouse on Gladstone Street and book your tickets now. Ask for Sharon or Gerry. One of the most popular gifts for Fathers Day is wine. It is a quick and easy fix and a lot of Dads really like wine. I know its a terrible and often untrue cliche that Men like Red and Women like White wine. I am a Dad and like wine. However, i do like Red, White and Rose, but its my job to, so maybe I’m not the best example. However, one thing is true. When people are buying wine as a gift for a man, 99 times out of 100 they will buy Red wine. While it is very nice to own a wine business, one draw back is that everyone is afraid to buy me wine. If they bought some cheap supermarket rubbish they would have good reason to fear my wrath, but nobody should ever be afraid to buy me a good bottle of Burgundy ( another subtle Bloomsday reference for all of you Joycean scholars ). I’m partial to a good vintage of La Tache, but who isn’t. Alas, it never happens and I fear Fathers Day may pass me by once more, but it should not mean that the Fathers in your life should go without. With that in mind, i have 4 Red Wines to tempt you with. And I picked these wines with me in mind. 2 from France, 1 from New Zealand and 1 from Italy. Happy Bloomsday and Happy Fathers Day this Sunday to all the heroes out there ( I know the mothers are the heroes but just give us this one day ( and buy us some wine ).